To empower and help to overcome poverty in marginalised communities by building sustainable locally driven programs that will improve the quality of life through advancing education, health and sanitation and innovative projects. Namaste and welcome to High Himalayan Community Projects Nepal. Rural life of the Himalaya’s is not easy to explain in a few words. Poverty and illiteracy, remoteness, natural disasters, age-old traditions and many other factors affect the lives of rural Nepal daily and keep them in abject poverty. In 2010 I dreamed of making a difference to these marginalised communities, and HHCP Nepal was born. Education, health and sanitation, and empowering the rural people themselves to make a difference in their own lives being the prime objective. As Founder and President, I am proud to say we have already helped to change the lives of thousands in the remote Rasuwa district. We have directly reached more than 300 families to change their lives by way of school sponsorships, gifting pigs and goats, aided micro savings/loans, whilst also giving education opportunities to orphaned & the most marginalised children, supporting schools and hospitals, and providing innovative health and sanitation projects. High Himalayan Community Project Nepal is also contributing to sustainable environmental management to improve livelihoods, increase economic security and income opportunities for the rural poor. Education that is relevant and purposeful has the power to transform people’s lives, similarly, awareness and education is the most powerful way to drive behavioural change. This education is also vital to the task of acquiring the capacity to live together peacefully and respect differences and diversities, and further build social tolerance. We hope you will join us in our efforts to accomplish the goals and dreams of our community partners. I have to highlight a few key personalities who have been a source of inspiration and unflinching support since the day I met them: Nola Ainsworth, Margot Dickson, Patrick & Laura Hessel, Bastien Rojanawisut, Wendy Wonson, Inner Wheel West Harbour Sydney, Julian & Pieta Laing, Leanne Patison & family, Bernadette King, Deana Marcon, Claudia Fritz, Alberto Jose, Klaus Harder, and all of the HHCP friends, volunteers and advocates for their passion, commitment, dedication and generous support. HHCP Nepal, or High Himalayan Community Projects Nepal is a non-profit organisation that has zero running costs, all work done is volunteer, so the family or project that you sponsor gets 100% of your donated dollar. It was founded in 2010 by local Nepali, Hari Krishna Devkota. As a young boy Hari was given the opportunity of a schooled education by a teacher who took him under his care. He then worked extremely hard to complete his education and is now a University lecturer and runs his own trekking company in Kathmandu. 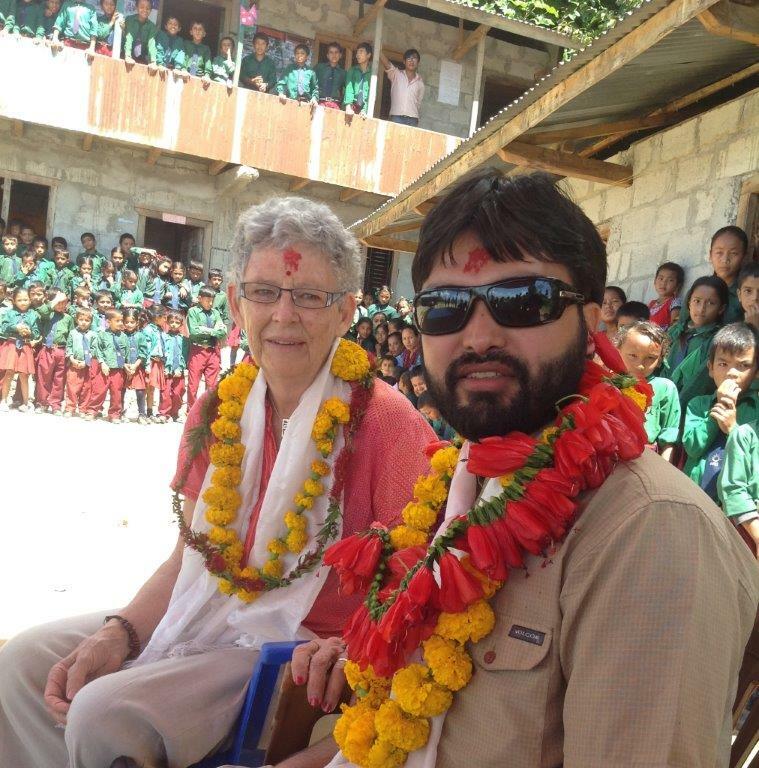 He knew in his heart the only way to break the cycle of poverty in rural Nepal was to educate the children. In 2010 he overheard good friend Nola Ainsworth talking of her sponsorship/education project for orphaned children in Kathmandu and the idea was born. Since its establishment in 2010, HHCP is already evolving into a philanthropic organisation under the leadership of Hari Krishna as President. HHCP’s mission is to empower these communities to reach their full potential through sustainable health, education and community-based programs. Since the HHCP Nepal inception in 2010, Hari has already turned this organization into a thriving non-profit organization that is transforming many lives in his beloved Rasuwa District. This growth is a direct result of his local history and knowledge, passion and compassion for the people. 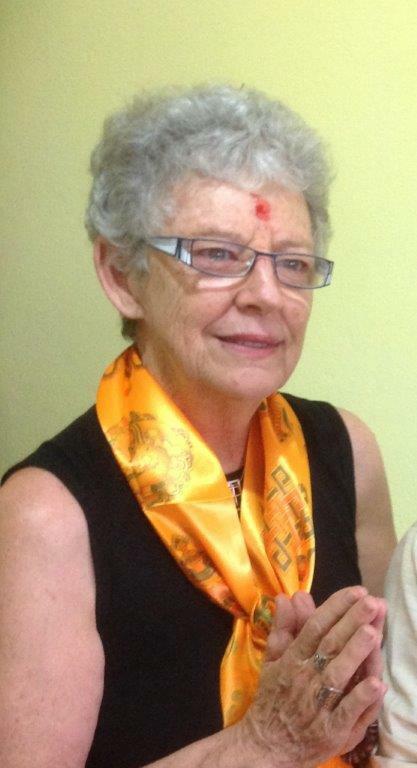 Margot lives in the Sunshine Coast, Australia and now spends much time in Nepal. She has now helped HHCP Nepal for over 2 years with her background being in independent business ownership, administration, bookkeeping and social work. She now brings this experience to HHCP to help the organization grow in efficiency, and to better serve the local people and the sponsors. 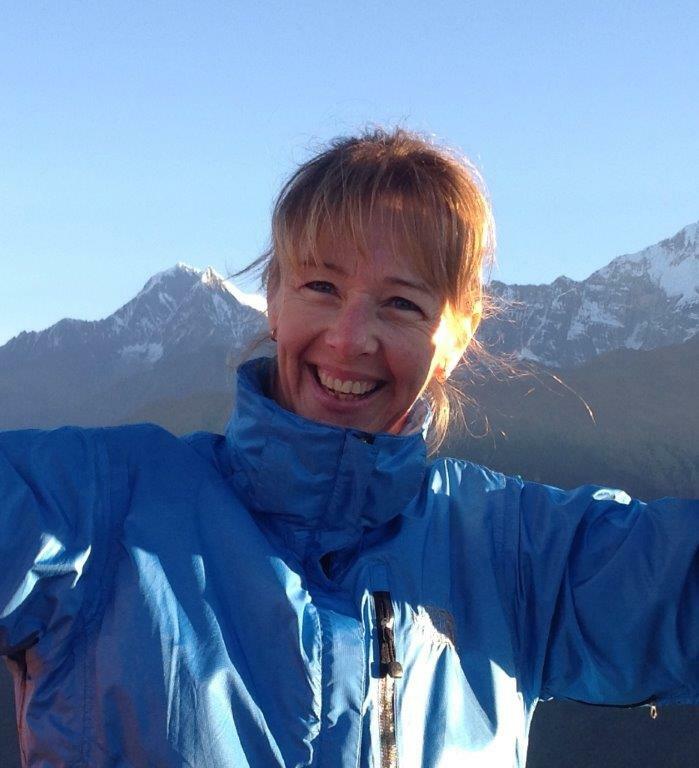 Nola lives in Sydney, Australia and has been a regular visitor to Nepal for 20 years running her own children’s education organization in Kathmandu. She has a background in teaching herself. Nola has been a passionate supporter of HHCP since its inception. doing much work on the ground in Australia to promote the projects and induct new sponsors. Bastien is an engineer in applied mathematics from Lausanne, Switzerland. Since his first volunteering in Langtang in 2011 teaching English in rural schools, he actively supports our web communication and constantly seeks on improving our current tools, either from home or in Kathmandu. HHCP Nepal was initiated to help the rural Himalayan people and that is exactly what it does and where your donation dollars are spent. HHCP Nepal is a registered charity in Nepal and we are proud to say that 100% of your donated dollar goes directly to the people and programs as ALL work done for HHCP Nepal is volunteer. The books are audited annually by authorized auditor The auditing fees are paid by HHCP founder Hari Krishna Devkota through his trekking business to continue to enable ZERO running costs for HHCPN.